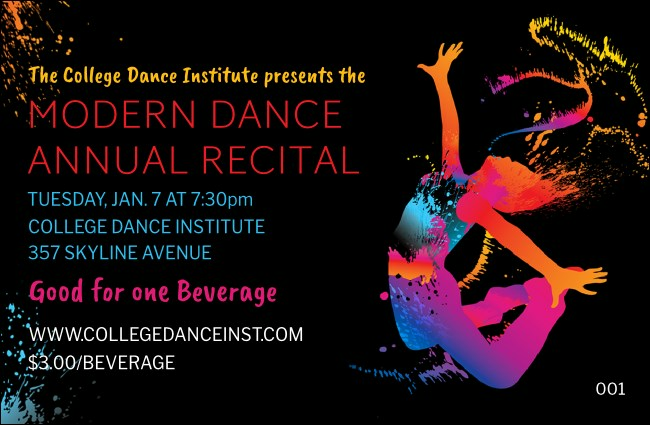 Your guests can express their inner feelings and their need for a drink with bold and colorful Modern Dance Black Drink Tickets. These ticket templates have a sleek black background and feature a jumping dancer striking a pose in bright neon pink, orange, purple, and blue. Nail the routine with Event Kits from TicketPrinting.com.